have some booze and crawl under the bedsheets. I wonder if there's anybody nearby. It'll be difficult to dry your laundry in the rain, you know? It'll be tough to make dried persimmons worth a darn, too. That aside, there's really a flying human 'round these parts? Got an umbrella on your head there. I deem you to be a rain youkai. but you're correct, so I s'pose it's fine. I also deem you a target for purification. Bath already, dinner, booze, crawl into bed. Or something. That was way too easy. The incident's over! Fin~! so I may as well buy some saké at the human village before heading back. You're just going to leave things like this? I don't mean to burst anyone's bubble here, but why are the trees moving? Are they trying to make me get lost or something? I mean, it's working, but still. 'S pretty annoying, so maybe I ought to just cut them all down~? So it's you! You're the one who was really mean to Jun! Hey, hey, stop. Stop right there! real busy right now. Get out of the way. Uh... huh? So you're paying attention to me? Ah ain't said nothin' bout that. Augh, whatever! You're so annoying! Great plan you got there. I wish you luck in battle. So hold it, already! I'm gonna get revenge for Jun! Oh. They died after all, then. Like hell they'd die! Don't jinx them like that! You sure don't seem to be acting. That's enough outta you! I'm really gonna get mad now! "Put your limits where your mouth is"; "actions speak louder than limits." Fine! I'll make you regret ever messing with me! I regret ever messing with you~. Even if I do this, it's not like it'll rain anyway. Well, I already took care of the cause, so it ought to be nice and sunny soon. But I don't want it to be sunny! rain youkai and zashiki-warashi closer to the village. But, welp, the village should be right up here. Would the saké brands be the same as outside? ...Bah, no way. Why am I always surrounded by people like this. The eye of the storm is often quite calm, after all. Huh. Actually, you might've hit the bull's-eye with that. The shooting gallery medal goes to you! A human flying around in a place like this... you're definitely suspicious. Well, I'll admit to being suspicious. But why does everyone here like wearing such chilly clothes? A sparkly, fluorescent creature such as myself knows no cold! A fermentent creature? [c] Youkai saké... that might actually be pretty good. I feel like you're imagining something terrifying?? Oh no, don't mind me. Just lemme distill you a bit. D-dangerous idea alert! You're the culprit for sure!! Your heart is stained as dark as your hair! May light shine upon thee! Hm? Now that I look at it, it's still cloudy over that way. ...Even though I got rid of that rain-falling youkai. the power of some random youkai. Huh. You sure know a lot. Welp, you just do your thing and ascend to Nirvana already. Are you an idiot, or are you just plain stupid? sunset yet or anything... Hmph. For starters, where should I even go? This place kind of stinks, too. ...Well, well. What to do now? My, my! I spy a stray such-and-such! Oh, what's this, what's this? Not a stray sheep, but just a human? Jokes aside, though, humans are very rare to see around here. not to talk over other people's lines? My apologies. Impatience is something I take pride in, after all. I mean, it'd reflect much better on you if you took it as one of your flaws. I'm quite busy taking the debts people owe us, you see. 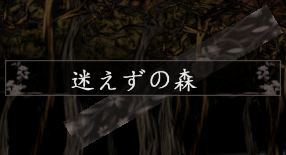 Or, if we condense "tori no toritate", maybe you're from Tottori? It seems you're having money trouble. By all means, pay our financing company a visit! Our interest rate is only 20 times greater per month! Quite the work-dedicated business method you've got there. Too bad you're well and truly crooked. I'mma shove you into a sand dune. would you happen to know where Mx. Sun has run off to? The weather in your head must be real nice, huh? but they've never returned a single loan all this time! behind the clouds. As one can plainly see? My word! To think they'd flee under the cover of night...! Did you think that was a nice, inspired joke or something? Now, with that, I'll have you pay the debt on their behalf. Ah, I see. So any victim is fine. Eeek, you were a tough customer?! sending someone like you out to collect the debts. I have quite a reputation for fraud, you know! Just what part of you doesn't look like that? I'd really love it if you could tell me. Looks like this is a giant clay sculpture. And placed right in the center of the clouds... huh. Mm, smells suspicious... shall I investigate? All my works're properly dis'nfected an' deodorized, yanno! Err, all right... so are you the source of the foul smell? Yer the one who smells like foul play! What'd ya come here to do? Just to do a little peace-restoring. What?! So yer an ally of justice...? I wasn't tricking you, I was telling a joke. Very important difference in nuance, there. so I guess "ally of justice" could work fine. What? So yer on the side of justice after all! You're a simpleton, huh. Much like most others. Eeyep, I get that a lot! Heheh. on account of that simpleness? Sorry t'say it, but that's simply not happenin'! The placebeyond here is off-limits to allies of justice, nyah. I don't recall seeing any notice boards to that effect? Well, I can craft one up right now! Do you seriously think I'll wait around until you're done? Sure do! It'll only take a few secondsh. Correct indeed! I made the whole thing in only a moment'sh time, nyah! Guess you must've cut a lot of corners while building it, then. Cut cornersh?! Ya got some nerve! I put my whole heart an' soul into makin' it! Mud balls're yet another example of fine artwork! Although the onesh I make are far more perfect~. How could someone so slipshod have beaten me...?! Well, I'll be heading on through here. We're in the middle of an important ritual right now...! A ritual...? I like the sound of this more and more. Rituals exist to be interrupted, after all. You may say that, but the mud balls I make both glow and hover. Nice and sparkly, nice and floaty. You call those mud balls...?! Now, now, let's put the stereotypes to rest for the moment. Ya think I'm just gonna sit down an' reeeest?! It's too early for your eternal sleep, true. Even though I went to so much trouble letting you escape. Yer gonna be the one takin' a dirt nap thish time!! My my... those clouds just split right open, they did. Tryin' to re-enact Ninigi's descent or something? How nice of you to say that. Is this view satisfactory as the last thing that will be burned into your eyes? Wow. Guess you make a hobby of saying pretty ominous stuff. I am in a supremely good mood today. That is why. So your hobbies change according to your mood? You don't even understand your own emotions perfectly? understand than one's own self, surely? The roots of which are also a perfect hemostatic for a bleeding heart. in the world, I'm the one that understands myself most. Quite an incomprehensible string of words. gloomy clouds are far more incomprehensible. Worry not. They will clear away in time. this meager gathering of clouds in an instant. Mow and sweep away... the clouds? Is that thing you're holding in your tail a fan or something? 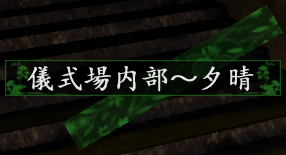 My name is "Adagumo no Yaorochi,"
and today is a commemorative day. a humble medicine peddler. (lying) ...Commemorating what? Why, none other than my reunion with this sword. That's not just any regular sword, huh? Oh, can you sense its spiritual power? ...And how, exactly, do you know that fact? Hm, I wonder. How indeed...? ...You're one of their agents, aren't you, you whelp? C'mon, it was just a lucky guess. You're reading too much into it. Do you intend to steal this sword away from us once again? Helloooo? You listening, dummy? Anyone home? You shall be the first thing I test this sword out on. Behold the origin of the imperial regalia, "Tasouken"! Carve its miraculous power into thy body and memory! Ahhh, god, I really don't feel like fighting any more, though~. ignore what everyone else is saying. Not much choice, I guess... here we go. I'll turn you into a saké side-dish, you reptile! 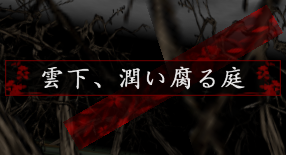 ↑ Tsubakura is looking up at their hat for this line. 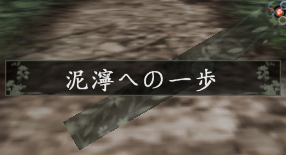 ↑ Tsubakura's phrase yuugen jikou, mugen jikou (有限実行、無限実行, lit. 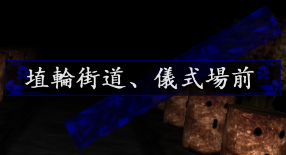 "limited action, limitless action") is a pun on the sayings yuugen jikou (有言実行, lit. "put your words into action") and fugen jikou (不言実行, lit. "take action without idle talk"). ↑ Pun on "lamb" and "rum", both pronounced ramu (ラム) in Japanese. 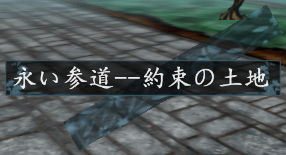 ↑ This line is imitated by Yabusame in their Neutral scenario in Brilliant Pagoda or Haze Castle. ↑ Meant to be the sound of a skylark's cry. Can also be read as ri toru (利取る, "take debt"), in line with folklore about the sun owing debt to a skylark, which Hibaru is based on. ↑ Ichi-shō kashite ni-to toru (一升貸して二斗取る) literally means "lend one shou, take two to" (shou (升) and to (斗) being archaic units of volume). The cry of a skylark was likened to this phrase in ancient Japan. ↑ This conversation is an extended pun on words such as "tori" (bird), "toru" (take), "toritate" (collection), etc. ↑ 9.0 9.1 9.2 9.3 These highlighted in grey were removed in v1.10a. ↑ The Haji (土師) clan was an ancient Japanese clan founded by Nomi no Sukune, and tasked with production of Haji pottery by Emperor Suinin. ↑ Ware omou yue ni waremokou (我思う故に吾亦紅), a pun on the phrase ware omou yue ni ware ari (我思う、ゆえに我あり, "I think; therefore I am"). ↑ "Spiders of dawn" (朝蜘蛛, asa kumo, sounds like "Adagumo") are said to be a good omen, which one shouldn't kill.